Holy week is a period for most Filipino families to take a break from school demands and work pressures. Many would opt to leave the hustle and bustle of city life in exchange for a peaceful rest or perhaps an adventure get-away. A vacation, however, does not necessarily mean going somewhere far, like flying to Baguio or to Tagaytay, which requires saving a month’s worth of salary. One can already enjoy restful and spiritually-nourishing activities just a few hours from Cebu City. To relieve stress and unload, we look for a place of solace and have time to commune with nature. Moreño suggests dipping in Lake Danao in San Francisco, Camotes Island for its tranquility. The municipal lake park is also the place to go for fishing, boating and picnicking. A natural sanctuary of flona and fauna, it offers cool breeze and singing birds to complete your stay. 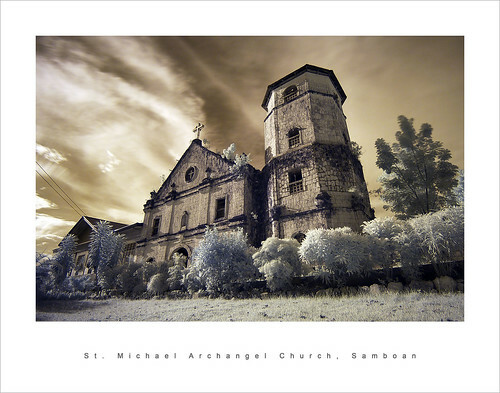 Bantayan Island is not just a home for white sand beaches but also of old churches. Visiting the church of the Parish of Saints Peter and Paul brings you back to the Spanish era. With coral stones covering the whole structure, the parish is believed to be the oldest in the country. If you find your feet lost in the island, let your soul wander off with the relics of the past. For a whole new nature trekking and camping experience, Osmeña Peak in Mantalungon, Dalaguete has a lot to offer. O-Peak is the highest mountain in Cebu at 1,000 meters above sea level. “O-Peak will not just revive your soul but also your body. You will literally get closer to heaven,” Moreño shared. After an hour-and-a-half hike to the summit, multiple jagged hills that are grouped together and stretching as far as the Badian shores would meet every trekker’s eyes. Up there, at the top of the world, the cool air is the only comfort you would ever want. Spending the night there, though, requires thermal clothes to fight the biting cold. Christian devotees performing rites of expiation and wanting a different meditation experience can do so at the Stations of the Cross of St. Michael de Archangel Church. Overlooking the Tañon Strait, the Way of the Cross has inscribed landscapes of the promontory where it is situated. Moreño said the best time to visit the place is during sunrise or sunset. Less than an hour’s ride from Cebu City is the Sugat in Poblacion, Minglanilla, considered as one of the grandest of its kind in the province. For years, the Sugat (Cebuano word for “meeting”) is a religious procession that commemorates the meeting of Jesus Christ and Mother Mary after His resurrection. This has been a tradition practiced during Easter Sunday, the end of Lent. Local and foreign tourists can expect colorful costumes, a grand production, and little angels suspended mid-air in every Sugat in Minglanilla. These are just five of the many possible places to visit during Holy Week. However, even though it offers the opportunity to unwind and vacation with friends and families, let us also remember why we celebrate it. We must have the time to reflect and reconnect with our Christian faith. Text/Content by: Chrisley Hinayas of Ramon Aboitiz Foundation, Inc.